For this week’s photo challenge, the topic is Hands. 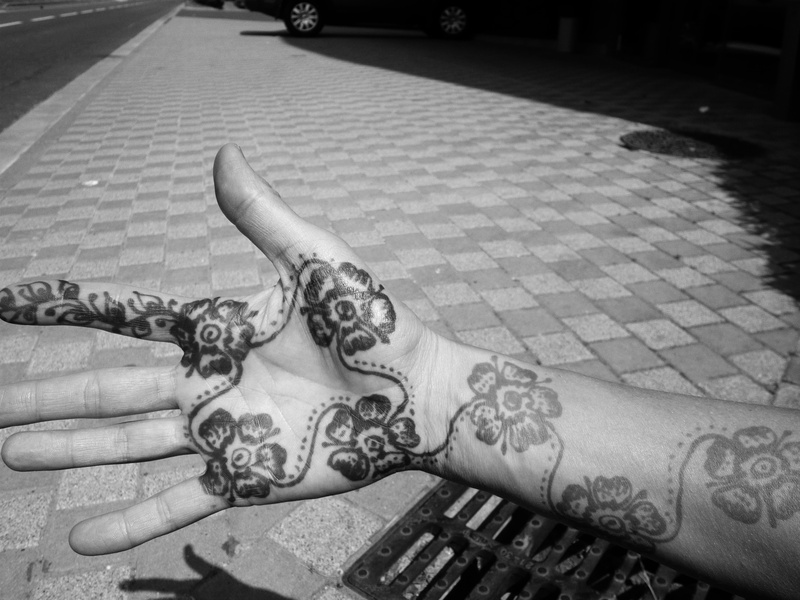 I couldn’t think of anything more fitting then this photo of my recently hennaed hand. I spent a week volunteering in Rabat, Morocco and on the last day I sat and had my arm and leg painted in beautiful rusty red henna. It was such a lovely work of art that I could hardly stop admiring it. It also was special as it was a constant reminder of my time in Morocco and the lovely experience I had there. The photo below is a self portrait of my arm and hand taken at an outdoor cafe in Paris. I was able to swing a 24-hour stay in Paris before flying home. A special place in my heart as I studied abroad there almost 20 years ago. Ah, the memories! Here is my entry. To check out more, click here. That’s quite some artwork. Very nice. Thanks! I was sad when it finally washed away three weeks later…. Thanks! I love your entries too! Wonderful! Thanks! I am heading north soon. My parents are coming to town and we are going to Lutsen, an old childhood favorite with my kids and my parents! I can’t wait!!! Thank you! Wish I could get the henna done again like that!